Kymriah. For kids with high-risk leukemia, those seven letters spell hope. But what is this lifesaving ‘living drug’? And how did this exciting new therapy come to be? Buckle your seat belts, because today we are starting an epic journey – a journey made possible by St. Baldrick’s supporters like you. Over four blogs, we’ll follow the path of this immunotherapy breakthrough — from the Phase 1 clinical trial to its recent FDA approval — and see the process through the eyes of the kids, families and St. Baldrick’s researchers who made this revolutionary research happen. In Part One of our blog series, meet St. Baldrick’s Honored Kid Austin, a now 9-year-old cancer survivor whose last chance at life was the first human trial for Kymriah. Honored Kid Austin was diagnosed with a high-risk form of acute lymphoblastic leukemia when he was 2 years old. 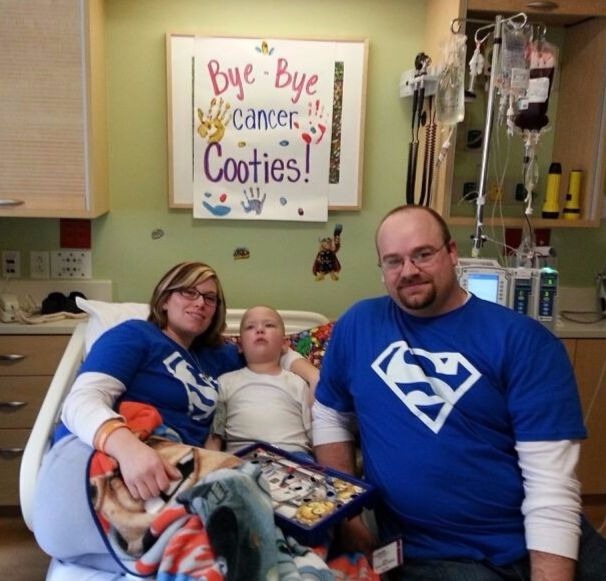 Kim Schuetz can’t forget the moment she saw the symptoms of her son’s childhood cancer. It was May 2011 and Austin was nearing his third birthday. Austin and his grandpa were playing together when the man noticed something odd. He called Kim over and together they crouched by the living room couch to look at large bumps on the sides of Austin’s neck. On the left side, it looked like two golf balls were wedged under the tot’s skin. The lumps on the right side were slightly smaller, but no less alarming. 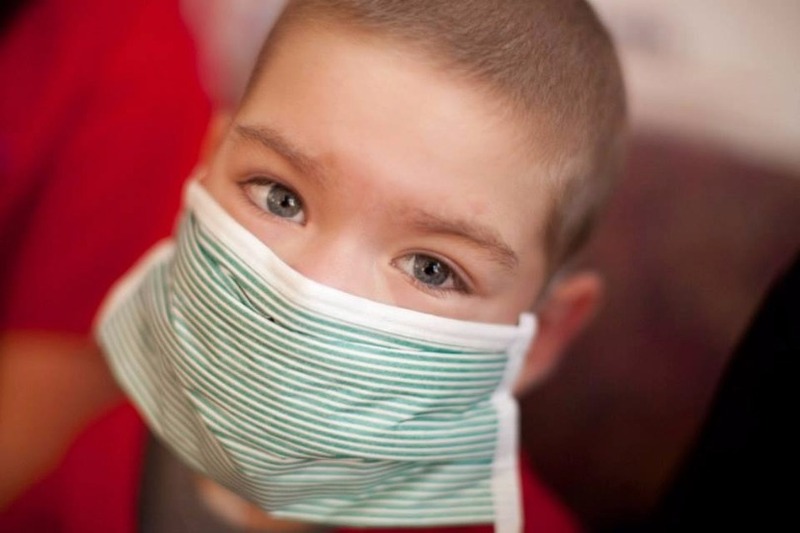 Kim, who’s an experienced adult oncology nurse, examined her son. She ran her hands across the large knots and down his clavicle, feeling pea-sized bumps under her fingers. Austin had been sleeping normally and eating well. (In fact, before his diagnosis, Austin enjoyed a steak dinner. “I’m not kidding you, he probably put down a good-sized ribeye, for a 2-year-old,” Kim recalled.) He looked healthy and acted healthy, but deep down Kim knew something wasn’t right. After days of antibiotics, they went to the emergency room. Austin’s blood tests came back normal and Kim took that as a hopeful sign. But further tests were not as hopeful. As Austin frolicked in the hospital’s playroom, the doctors gave his family the news. They suspected Austin had leukemia. It was later confirmed as high-risk B-cell acute lymphoblastic leukemia (ALL). More than most, Kim knew the tough journey ahead of them. For her, the ambulance ride to their local children’s hospital was the beginning of a nightmare. For her son, riding with the paramedics was a blast. It was the best birthday present he could imagine. He was pumped. That’s the attitude and energy Austin carried through years of tough treatment, a devastating relapse and then a risky bone marrow transplant. He always just wanted to be a kid. The bone marrow transplant was supposed to be the end. It was Austin’s last, best option for a cure. But two months after transplant, in May 2013, Austin’s dad came home from work early. Jeff walked down the stairs to where Austin and Kim were playing. Tears brimmed in his eyes. It was the first time Austin had seen his dad cry. A routine biopsy showed that the 4-year-old’s cancer was coming back. Their oncologist drove to the Schuetz house that Saturday and sat with them as they quietly digested the news. There was no clear-cut way out of this. The boy’s options for survival were slim and shaky at best. Austin and his mom, Kim, smile while out at the movie theater. But Dr. Christian Capitini, a member of the St. Baldrick’s – Stand Up To Cancer Pediatric Cancer Dream Team and Austin’s transplant doctor, had an idea. 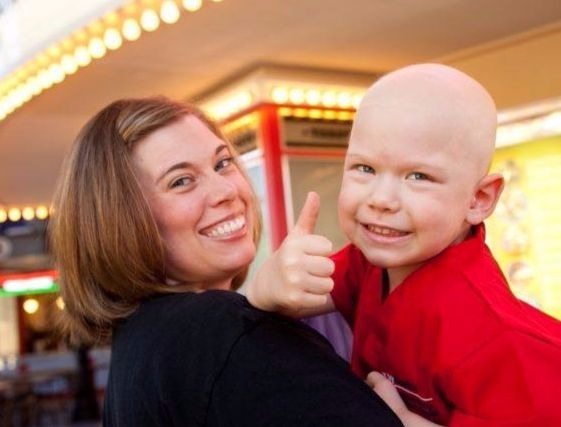 It was a St. Baldrick’s-supported Phase 1 clinical trial for a ‘living drug’ called Kymriah. Kymriah is called a ‘living drug’ because scientists genetically modify a patient’s own immune cells in the lab, then infuse these new cells back into the patient’s body. These modified cells – called CAR T cells or chimeric antigen receptor T cells – then prompt the child’s own immune system to attack and kill leukemia cells. For that reason, this type of therapy is called immunotherapy. The patients on Phase 1 trials are often the sickest of the sick, Dr. Capitini said, and the trial may be their last hope for survival. That was the case with Austin. Learn how the rest of Austin’s story unfolds and how YOU made it happen. Read Part Two of this blog series. Together we can take childhood back from cancer. Fund kids’ cancer research today.